As their perspectives are not part of the public discussion the situation of refugee women* in Germany is relatively unknown. With our event we aim to create awareness for the demands and needs of refugee women* in Germany. In the beginning we will give a short summary about the general situation and difficulties refugee women* have to face in Germany. The focus of the event will be on the living conditions of women*in refugee accommodations. As a basis for discussion the main results of a research project in the winter term 2015/16 carried out by a collaboration between students and lecturers of the Freie Universität Berlin and the Berlin-based group International Women's Space will be presented. Quotations of the interviewed women* will be read. We especially invite women* who live or have lived in refugee accommodations to participate in the event and to share their opinions and experiences on this topic. We seek to discuss the demands and needs and ask how to improve the living conditions for refugee women* in Germany. 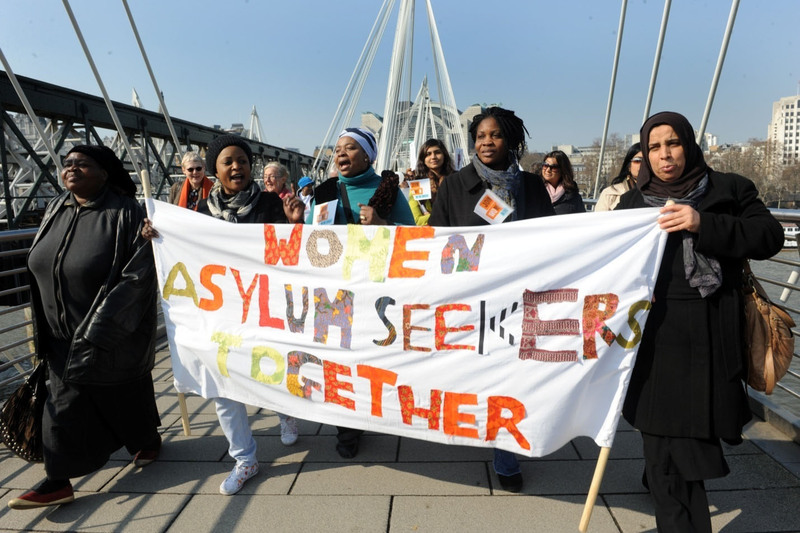 We want to collect ideas how everyone can support refugee women* and take part in the struggle for equal rights for all. The language of the event will be English. Translations into German, Arabic and Farsi can be organized.